Start your franchised business in healthier cleaning with us. Why would you want to start a franchise of the business? Well, there are a few reasons to consider for that. For one, there is the reduced cost since you don’t have to build the business from scratch. Additionally, you can take advantage of tested, more efficient procedures through outsourcing. These, plus a lot of other reasons, make franchising a fastest growing trend. This niche remains as one of the fast-growing businesses in the country and cleaning franchises are also among the fastest-growing franchises. On that note, would you be willing to be part of our company? Would you want to take advantage of the benefits that come with our professional cleaning services? Do You Think You’ll Be a Good Business Owner? If you are not sure, well ask yourself first about why you want to start a business. Over the years we have helped many people in starting their commercial cleaning franchise service. But even when you are starting a franchise, still, it isn’t as easy you think. First, you need to figure out the reason why you want to start your own business. What, is it to reach a goal? Is so you can work for yourself? Was it to try doing something different? Maybe, it is to invest in something that you own? Or is it to have more flexibility in work? If you know the reason why you will soon know if this business suits you and then be able to figure all the other important factors needed for setting a franchise business. Once you figured out why you want to start your own business and know for yourself what makes a good business owner, the next thing is about getting the facts. What are the facts concerning owning a franchise? Don’t worry, though. We’ll help you by providing options that’ll help your franchised business start at a level that matches your goals. When it comes to cost and financing, have a peace of mind knowing that we have experts ready to assist you or provide you with the necessary information. What Makes Our Franchise Different? A lot of people who want to start their own business often choose to start in franchising. If you wish to start your business with a franchise, our company is here to support you with our team of experts ready to assist you in any way they can. 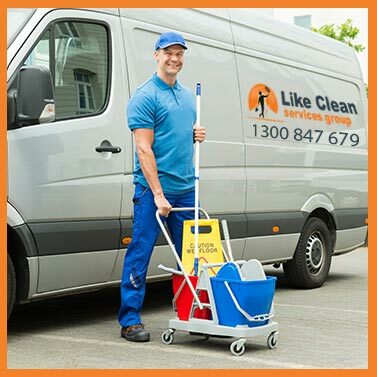 Among many cleaning companies where the franchise is available in Adelaide, why choose us? There are many reasons for that. Our company is unique in many ways such as providing you with support centre team that’s focused on assisting on your business. Additionally, our cleaning services utilised healthy, clean process and are built on values that we strictly uphold. We are dedicated to our business, and you can rest assured we will be dedicated to yours. Contact us now for more details on starting your franchise. Browse through our site to learn more of what we have to offer.